The Coronado Flower Show’s Bloom Bash will be held in the Flower Show tents in Spreckels Park on Saturday, April 13, 2019. The theme this year for the annual party is Peace, Love and Flowers in coordination with the Flower Show theme of Flower Power: Looking Back to 1969. The event will go from 6:30-9:30pm and will be held rain or shine. This Saturday night event at the Flower Show will feature food samplings from local restaurants, local craft beer, regional fine wine, and live entertainment by It’s Never 2L8 and Matt Heinecke. 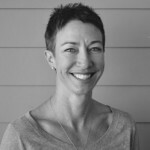 The attendees will pay a flat fee for tickets, the proceeds of which will help to support programs funded by the Coronado Floral Association. The dress code is casual; costumes are not required, but encouraged. The event is 21 and up. The price per ticket to the Bloom Bash is $45 prior to the event, $50 the day of the event. Tickets and membership to the CFA can both be purchased on the website www.coronadoflowershow.com. 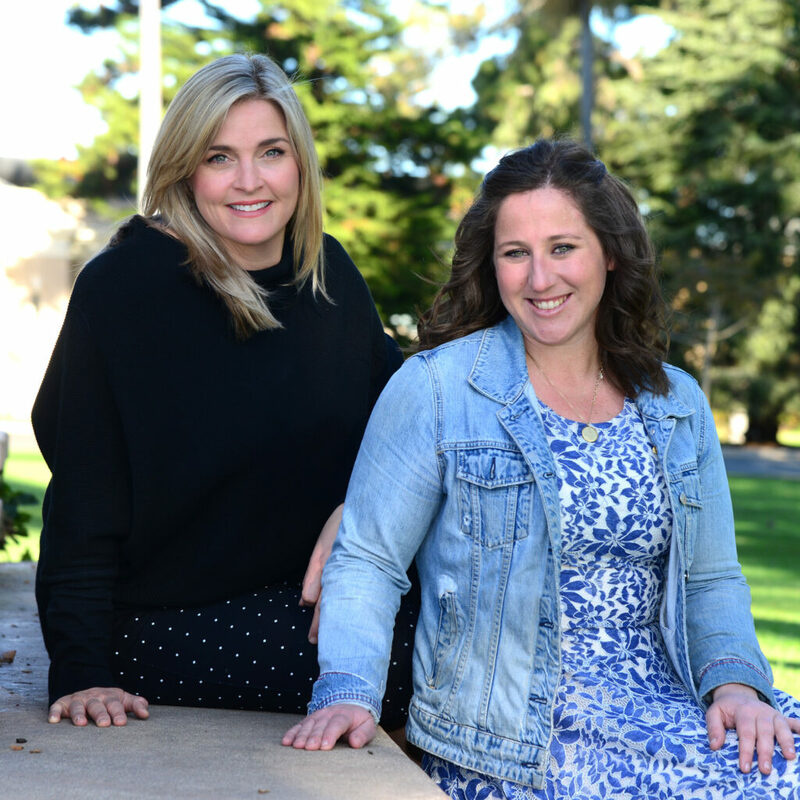 The Bloom Bash co-chairs Colby Freer (left) and Sara Stillman are expecting a sellout for the Coronado Flower Show’s Saturday night Bloom Bash under the tents. This event has occurred in previous years to much community delight and the CFA is excited to continue this tradition of the party under the stars that everyone looks forward to each year. Sara Stillman and Colby Freer are co-chairing the event, as well as a committee made up of Coronado locals: Jessica Mushovic, Julie Frahm, Andrea Heinecke, Samantha Bey, Natalie Faletta and Fran Rogers. All committee members have been working tirelessly to make this night unforgettable! This event will be an opportunity to nibble, sip, and celebrate spring under the stars in Coronado’s Spreckels Park. The Bloom Bash is the CFA’s fresh new spin on a classic, Coronado event. There are many fun things in store, with tickets close to selling out on one of Coronado’s best nights of the year! The Coronado Floral Association puts on the Flower Show each year in Coronado. For more than eight decades, Coronado has followed the spring tradition of refurbishing gardens throughout the town and staging Southern California’s premier flower show. 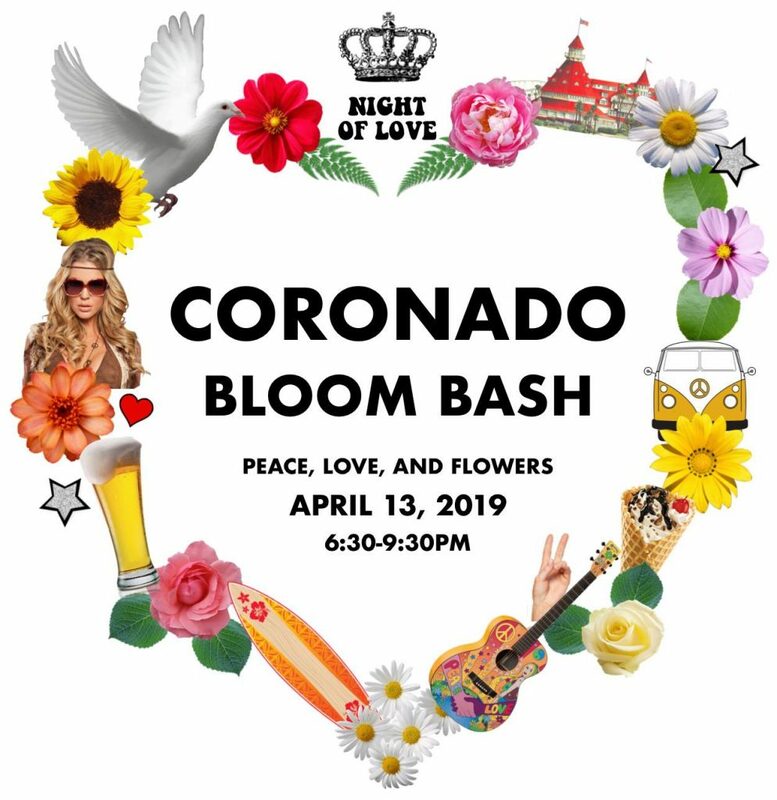 The Bloom Bash is directly affiliated with the flower show and all proceeds go to the Coronado Floral Association. The Coronado Flower Show Bloom Bash will give restaurants and chefs the opportunity to share a taste of a classic dish or their latest seasonal creation. The event will be an amazing opportunity to celebrate spring together with the community. There will be stations featuring food from local and nearby restaurants, as well as some wonderful surprises that will help bring the theme of Peace, Love, and Flowers to life at the event. Some of the participating sponsors include: Coronado Brewing Co., High Tide Bottle Shop and Kitchen, Bluebridge Hospitality Group, Boney’s Bayside Market, Brigantine Seafood, Gelato Paradiso, Juice Crafters, Liberty Call Distillery, Lobster West, Miguel’s Cocina, Poke 123, Saiko Sushi, Amalo Coffee, Attitude Brewing , BBQ Boss, Coronado Catering, Salon De Ville, Natalie Falletta Skin Care, Jessica Mushovic, Julia Elassaad and Ken Pecus with Ascent Realty, the Coronado Flower Lady, Glorietta Bay Inn, Coronado Glow Pro, Point Loma Credit Union, Root 75, Taste of Oils, Tina Gavzie with Sotheby’s International.